Commemorate the legacy of women and the places where they made history. Although they have been entwined with the American preservation movement since its inception, women and the places that inspired them are rarely recognized for their significance. As preservationists, we have the duty today to tell stories of the diverse places surrounding American women. At the National Trust, for example, we're shining a spotlight on women through the homes of African American millionaire Madam C.J. Walker, famed musician Nina Simone, and civil rights and women’s rights activist Pauli Murray—all part of our National Treasures program. We’re elevating women’s stories through our Distinctive Destinations program, which features historic houses and museums that reveal the many vital yet unheralded roles women have played in American history. And we’re remembering the history of preservation itself through the legacies of Ann Pamela Cunningham, who saved Mount Vernon in 1860 and is now known as the mother of the American preservation movement; Helen Douglass and the National League of Colored Women, who worked to save Frederick Douglass’ D.C. home, Cedar Hill, in 1896; and Marie Beale, who saved the Decatur House, a National Trust Historic Site, in 1956. But these places are just the beginning. Let’s all work together to uplift women and commemorate the places where they made history. 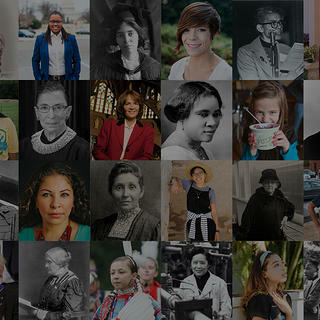 Join us in commemorating women and the places where they made history.